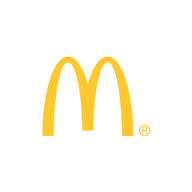 McDonald’s Corporation (NYSE:MCD) shares are down by 0.9% in the last 30-day period and closed at $94.45 on August 22, 2014. According to the company, this is the largest monthly decline in its same-stores sale worldwide since 2003. The company has lost 2% share value since the start of 2014. On the other hand, Chipotle Mexican Grill, Inc. (NYSE:CMG) achieved an increase of 17% in the same store sales. McDonald’s Corporation (NYSE:MCD) has 40% of its stores operating in the U.S. working at loss or no growth for the past 13 months. The company has a global chain of 35,000 restaurants but it is losing its edge among the U.S. consumers. According to the data collected by Technomic Inc, restaurant consultancy, for WSJ, there is an age problem standing ahead of the company. The data indicated that the primary customer base of the company, customers in 20-30 years age group, is alienating towards better and healthier eating options. Increasing sales of fast-casual restaurants have hurt the sales of McDonald’s Corporation (NYSE:MCD) in the past one year with Chipotle Mexican Grill, Inc. (NYSE:CMG) and Five Guys Enterprises, LLC being its primary rivals. Further, the company is planning to change the head of its U.S. operations and Mike Andres, former executive in the company, is expected the head the domestic operations. This is the second time that McDonald’s Corporation (NYSE:MCD) has changed the head of its U.S. division in the past two years.